Also great to see the chantarelles so rare [to me anyway] and hard to identify. A recent yum cha memory from Beijing.. after it was all over they simply took the tablecloth with all the dishes bundled in it. Re-set in 30 seconds. I am now feeling very hungry, and I just had lunch. Thanks PG, George & Zoe. I'm happy and relieved that you enjoyed my jumble of feelings and knowledge entwined in dim sum. George - so they made a dumpling of the refuse in order to take it away? Genius! I've often thought about doing that at home, but I don't think the crockery would survive - LOL! Chanterelles I think are quite rare here indeed and it was delightful to have them. All melamine so no problem there, chanterelle I have found are native and mychorrized with eucalyptus. Only once have had enough to make an omlette. Also have seen the black trumpet version also native form when out with Teresa from the Bot gardens. 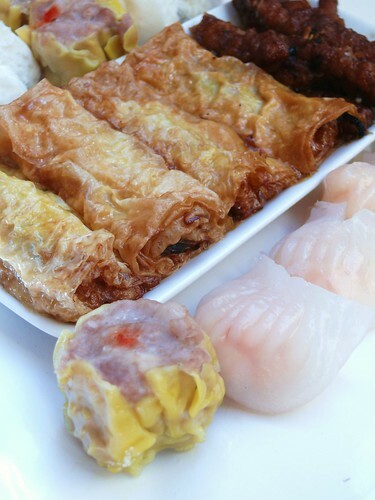 Fabulous chronological insights of life experiences through yum cha (food), Stickyfingers! Evoked a little Wong Kar Wai-esque imagery. 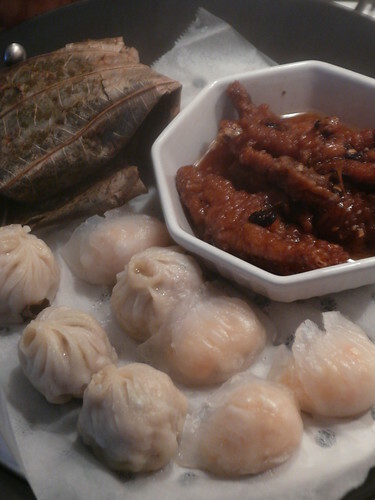 My fav dim sum would be the Wu Gok (taro dumplings), Loh Mai Gai (chicken, chestnuts, etc. in glutinous rice steamed in lotus leaf), pork ribs braised in black beans, the ubiquitous cha siew bao (steamed bbq pork buns) of course, and...okay I gotta stop. Funny how a piece of perfect roast pork will make all your problems melt away. and it made me want yumcha very badly. A really excellent read sticky! Thanks again, it was actually hard to choose which memories to include - there are just so many. And Towser, the Wong Kar Wai perspective is spot on. My memories of imagery and family photos of HK in the late 1960's and 1970's were encapsulated by "In the Mood For Love". Nate & Annie - Mr Stickyfingers once asked me if there was only one kind of meat I could eat what would it be? For me that choice would be pork, but as someone of Southern Chinese descent, it's not so surprising. 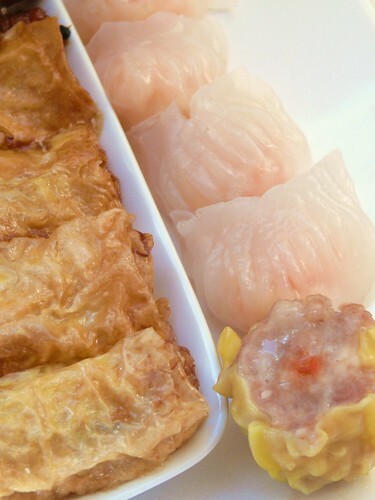 Lovely memories you've shared, plus the bonus of good quality dim sum to take home. My daughter took me to the Oriental Tea House (Lt Collins St) the other day and everyone loved the yum cha, though it was the first time I'd ever ordered it, which felt somewhat disconcerting; I do like a well loaded trolley. Really did touch the heart. Thanks. I've never tried having yum cha at home. I just love the whole atmosphere of being in a bustling restaurant, having waited at least an hour outside beforehand, at the mercy of the brusque table lady with the walkie talkie. I love yum cha; in fact my 21st birthday celebration was a yum cha in Canberra - tables of friends and family laughing and chatting over broccoli in oyster sauce and congee. I have bright memories of lunches with my family in the restaurant owned by Jackie Chan's parents, and their fabulous jellyfish salad. In Switzerland you order off menu, and it is very challenging because I know what I love, but have no idea what it is called in English much less French! I am so used to just pointing. 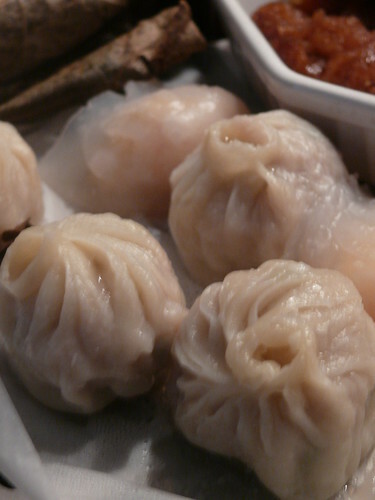 I miss good dim sum! 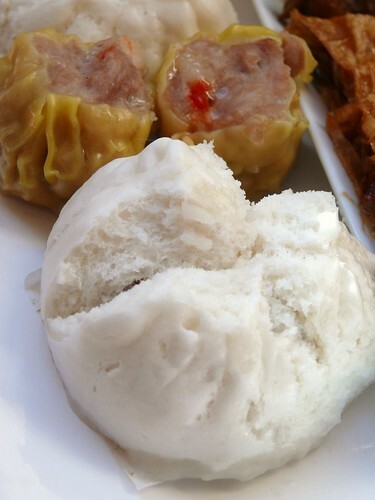 I wish I had a dim sum house around here. It's wonderful you're writing your memories down! Thermomixer, in Melbourne you will find the better Yum Cha venues in the eastern and south eastern venues where the Cantonese migrants have settled. The oldest Shark Fin venue at the top of Little Bourke Street in the city is reliable as is Dragon Boat in Lonsdale Street. My family tend to go to new Royal Garden in Syndal and another venue in Springvale, upstairs in the mall. 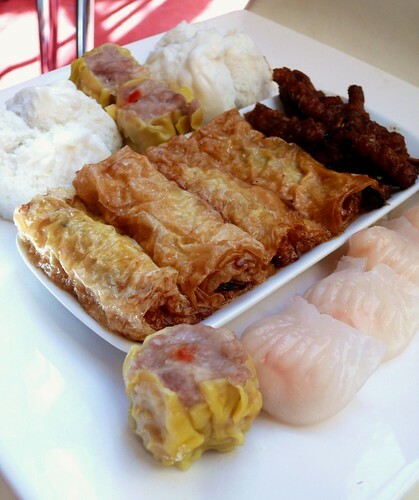 They buy their frozen takeaways from Hong Kong Dim Sum in Box Hill. You'll find that now there is a wholesale market for dim sum, so many smaller places will offer a small selection of reliable old favourites at lunch time. 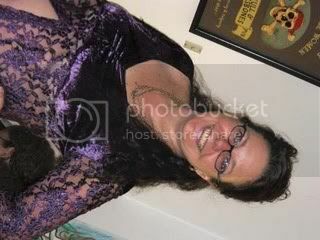 Rita - I loved your post on it too. Y - the walkie talkie ladies crack me up with their brusque and officious manner. I remember queuing in rows of seats like people waiting for a plane in one HK venue. Thankfully Melbourne is yet to have the humongous multi storey Yum cha venues that require them. Neil - I like the trollies too and the bonus of them is that if you don't know what to order or how to pronounce the dishes, you get to pick on sight. Kiriel - what a great idea for a celebration! Jaden/Steamy - We are very lucky over here with the breadth of range of Asian food and produce. Melbourne was fortunate to benefit greatly by the pre 1997 Hong Kong exodus, where a lot of talented chefs moved here. The opening of a big casino helped too, with a fair few hired to work in the kilometre long underground kitchen at the venue. We also now have a fair sized community from Malaysia and some of the dim sum chefs are from there. Sophie - I'm don't like sockpuppetry as a way of advertising a website on blogs, but I wish you well in your endeavours none-the-less. If you visit again, please at least have the courteousy to read the post and comment on it. Good luck. Stumbled on this article through Foodgawker - brought back some of my own lovely memories! Growing up in Singapore as an 'expat' [although I didn't move to Australia until I was 8], yum cha lunches were a weekly thing for the family. We kept it up when we moved to Sydney, but I'm now in Brisbane - which is seriously lacking in dim sum. Will have to see what Melbourne yum cha is like next! Great article, thanks for renewing my cravings - down in Sydney next weekend, back to the Marigold for me! 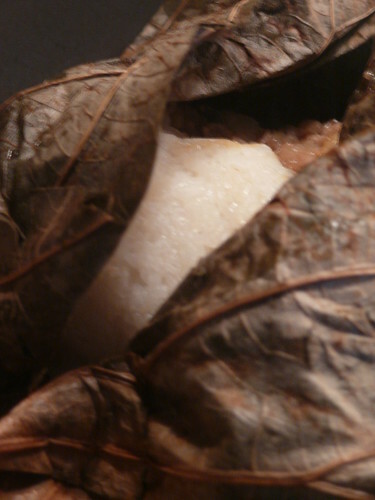 Many of the dishes are either steamed or deep-fried. 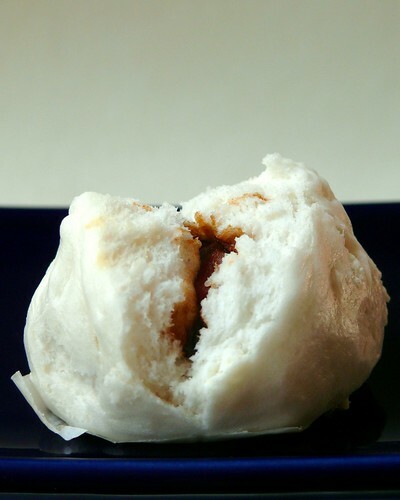 Among the former, you'll find everything from steamed pork spareribs and char siu bao - steamed buns with roast pork - to har gao, those wonderful shrimp dumplings with the translucent skin. Afi Havok - hope you had a great time chowing down in Sydney. Hesslei - Fung Jow are braised first as are Pai Gwut, then reheated in the steamer. There are also baked items such as Cha Sui So and Darn Tart made with lard based pastries, and of course there's also congee (jook) and sweet soups, some with tapioca pearls on offer at yum Cha, and jellies. One of my Grandfather's favourites was Ma Tai Goh, a steamed sweet sponge cake, you don't see that as much these days though.